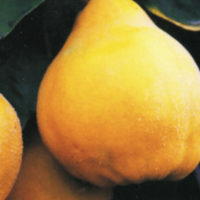 A large, mid season dessert pear with rich flavour. Green skin with some russetting. Self fertile, but crop can be improved by planting with other varieties.